Hood Calorie Countdown and Weight Loss! After spending the winter in Florida and California and throwing my diet out the window, I was shocked when I stepped on my scale. Yes, I had been sticking with Low Carb for a whole year and lost thirty pounds. I felt great, I mean really great. But I don’t know what happened, I forgot that carbs aren’t my friend. The weight started to creep back on and I knew that I had a choice, either keep going down this slippery slope or start back with eating a low carb diet. I chose the later and am doing so much better and am back on track. I just take it day by day and do my best. Hood Calorie Countdown helps me to stay on track and keep those carbs under control. 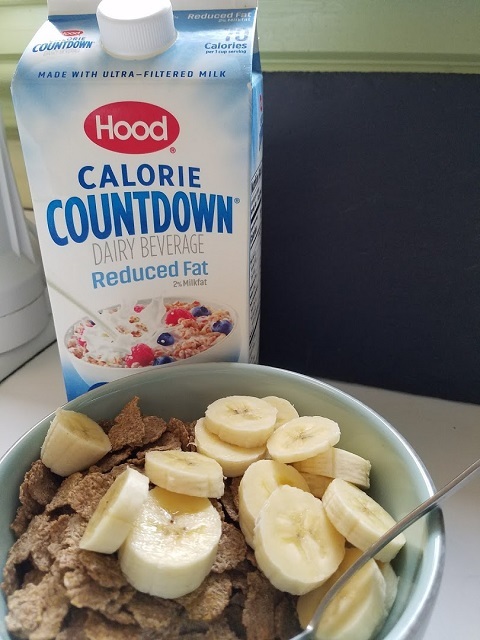 Bowl of my favorite low carb cereal and banana with Hood Calorie Countdown Reduced Fat. Hood Calorie Countdown is a creamy and delicious dairy beverage with many nutritional benefits. Perfect for anyone wanting to incorporate dairy into a healthier lifestyle. I am excited to have incorporated Hood Calorie Countdown in my lifestyle! First of all the taste is amazing and it’s good for you! The chocolate tastes just like my favorite chocolate milk that I used to drink as a snack when I came home after school. I have been eating low carb/keto diet so I missed these flavors, but now I can meet these cravings! Hooray!! Since the weather has been so nice, I have been walking along the bay for 5-6 miles a day. Going uphill at the end is killer and it feels so great to get to the end. My reward is a large cold glass of Hood Calorie Countdown Reduced Fat Chocolate. If I didn’t know it already, I wouldn’t believe that Hood Calorie Countdown is healthy, it is so delicious! I am excited that I can find the Reduced Fat Chocolate, Reduced Fat Regular and Whole varieties of Hood Calorie Countdown at my local Walmart. I decided to try the Reduced Fat Chocolate first It was creamy, delicious and full of yummy chocolate flavor! 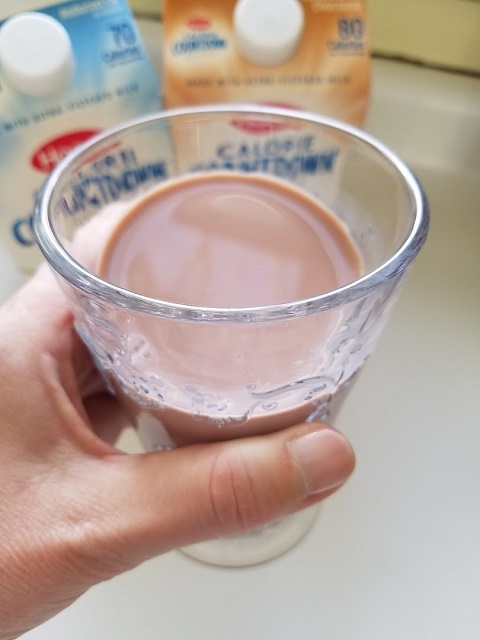 This is a treat that fits into my healthy lifestyle since a 1 cup serving has only 80 calories, 5 grams of carbs and 90% less sugar versus chocolate milk! It’s delicious in my morning coffee, tastes just like a mocha latte! To learn more about Hood Calorie Countdown and where I could pick some up, I headed over to Hood Calorie Countdown Website. Hood, the producers of Calorie Countdown, is a leader in high-quality dairy products. 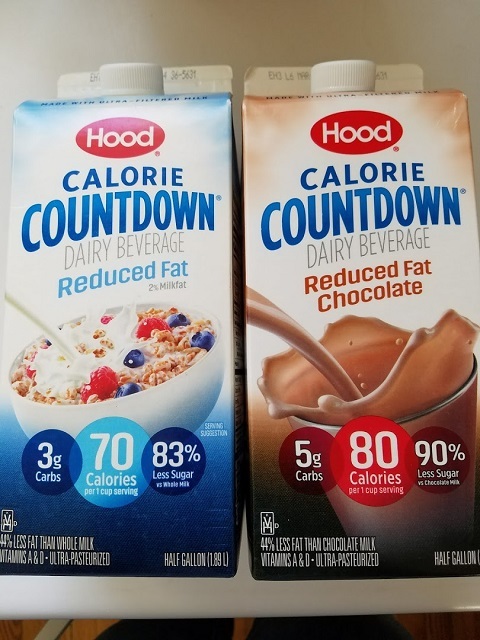 They blend ultra-filtered milk with water, cream (and other ingredients) for the delicious and creamy taste of Hood Calorie Countdown and still deliver fewer calories, less sugar, and fewer carbohydrates than regular milk. Another thing that I learned, which is really important for me and my family, is that it is made with milk from farmers who pledge not to use artificial growth hormones! Grab a money saving coupon << HERE >> for Hood Calorie Countdown! 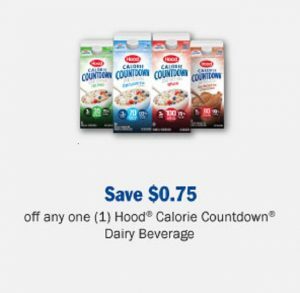 Let us know if you try Hood Calorie Countdown Dairy Beverage! Use #Mooreorlesscooking.com when you share your photos on social media. Tell us what you think!